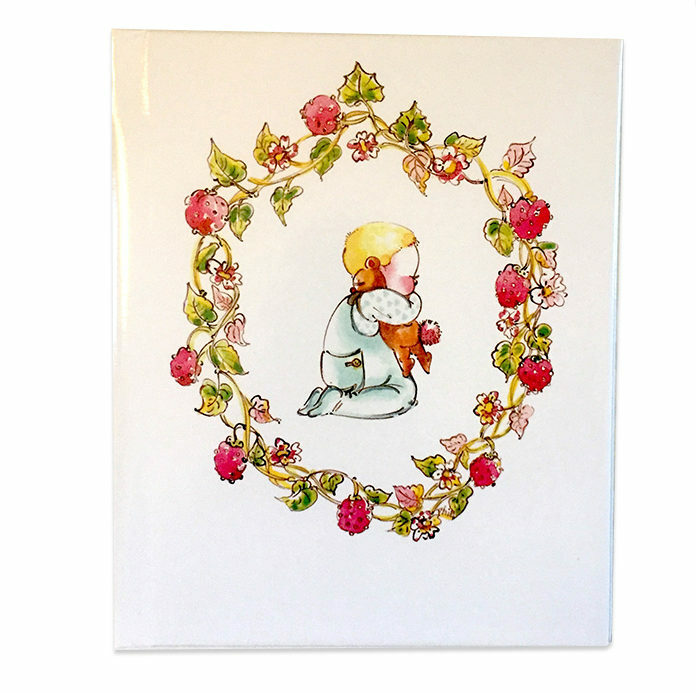 This heartfelt and popular book is special for both parents and children alike and makes a great Baptism, Christening, 1st Birthday, or personalized baby gift. 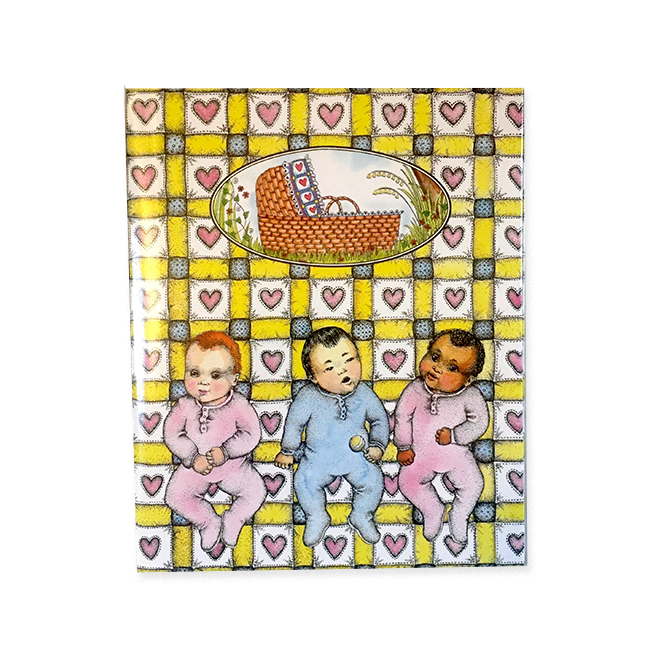 There are a number of variations of this baby book to accommodate your different circumstances. In the back of this book, there is a place for you to record important dates, and treasured moments from the first smile to the first steps and beyond. Good place to list baby’s most important relatives besides Mommy, Daddy, & siblings. to celebrate (event & year) or (because he/she’s such a joy). Always remember just how special you are! Our Personalized Books are hard-bound, with glossy wipe-clean covers that allow your child to become the star of the story. These keepsakes also feature other personal information such as hometown, friends and a variety of other specific information depending on which of the many titles you choose. From the moment your child realizes the story is about him or her, the magic begins! This unique story will help your older child cope with the arrival of a new baby. So much attention is going to Mom and the baby, why not involve big sister or brother, too? Let them know you have confidence they'll be the best big brother or big sister ever! 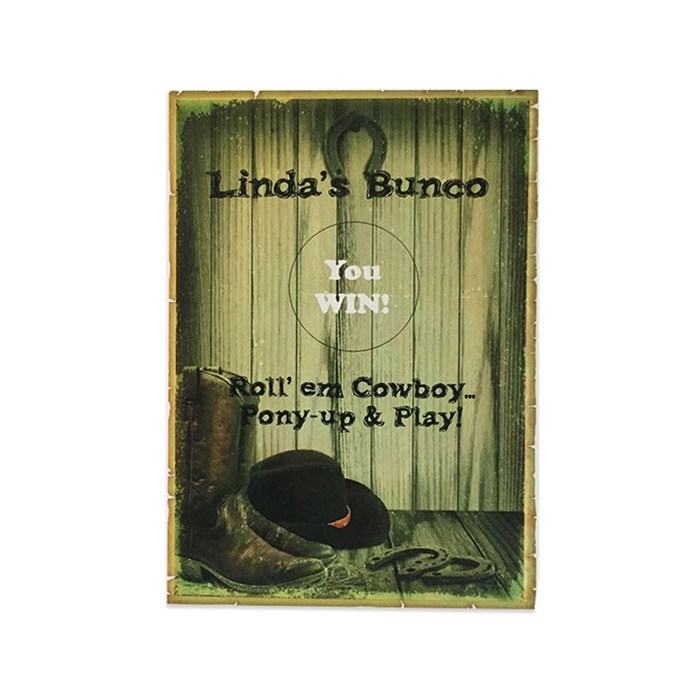 Add fun and excitement to your next party with our unique scratch-off cards. 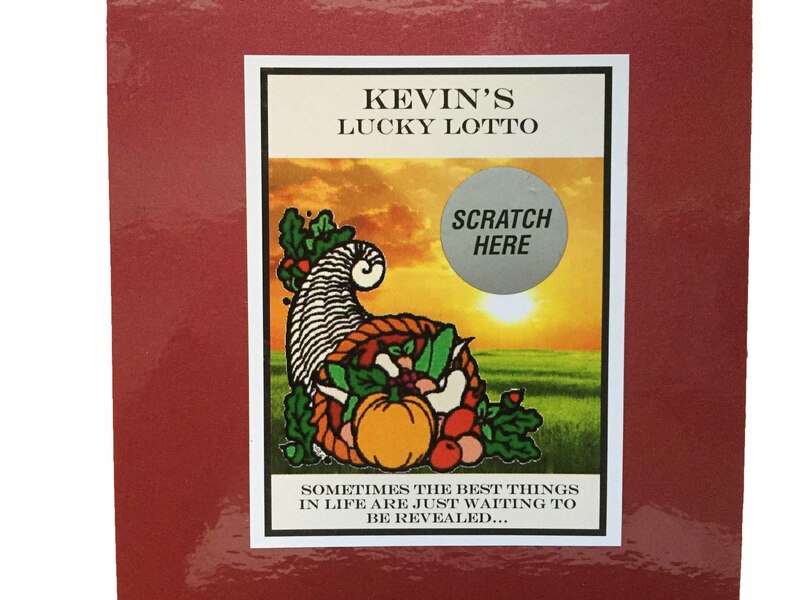 Fun as shower games, fund raisers, or even at family reunions... everyone loves the thrill of scratch-offs! You choose the win/lose ratio and if you let us know the prizes, we'll even print that information on the tickets. Don't know your prize yet? That's easy...we'll just print "You're a winner!" We pack winners and losers separately for your convenience. Design possibilities are endless - just let us know your event, choose a graphic from our library, or tell us what you have in mind and we'll come up with something special just for you! Personalized magnets are the perfect favor to combine fun and function! 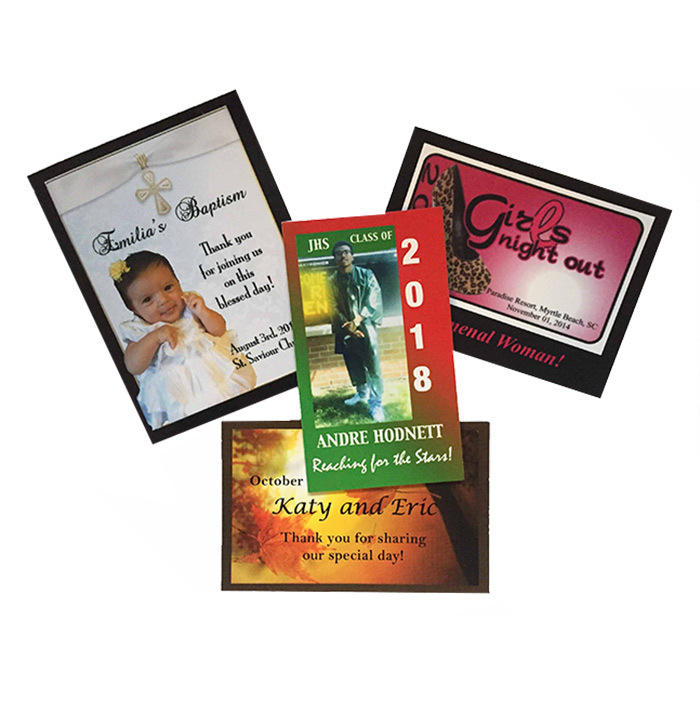 We can custom-design magnets for all occasions or promotional needs. Our standard magnets measure 3.5" x 2", but custom sizes are available for an upgraded charge upon request. Photo magnets can be custom-designed at no extra charge, so be creative and send us your ideas! An inspiration that gives your child examples of things we should be thankful for! Presented by Gabriel, he teaches many of the reasons why we give thanks to God. God has given us all the joys we are able to experience through our five senses. Each page of this inspirational book talks about something for us to pray about, and then offers the prayers. Even the family pet gets a mention. 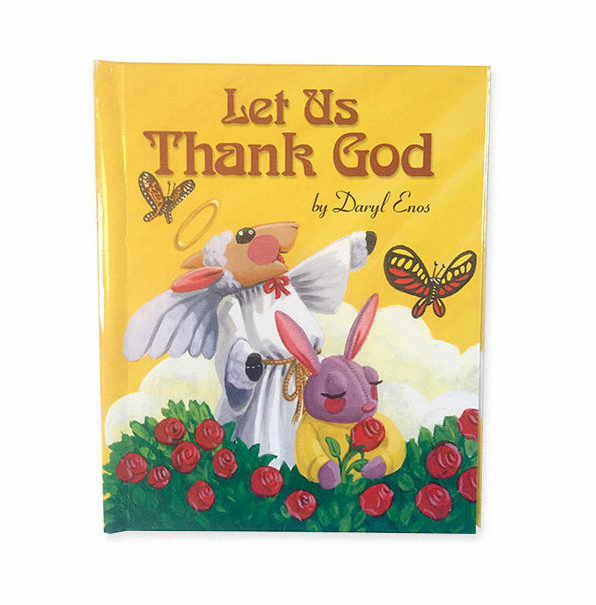 The final page has a wonderfully written 21 line prayer that your child can recite each day!